The oldest Baby Boomers turn 70 this year. But few communities are ready to serve their needs — especially when it comes to affordable housing. “In just 15 years, one in five people will be at least aged 65,” says a Harvard study, and 20 percent of America’s population will be 50 or older. In Fairfax County, for example, the 65+ population grew from just over 4 percent in 1980 to almost 10 percent in 2010 — and is expected to grow even more from there. Housing options, especially affordable housing options, remain a huge need for our elders. At issue is whether our seniors can remain independent and healthy for as long as possible, not become a burden to themselves, their family or the state. They face challenges that younger cohorts don’t when it comes to not being able to work, or having more difficulty finding a job. While some affordable senior housing programs do exist, there’s simply not enough — with not enough units available, there is also not enough funding to build new ones to fill the gap. In some areas the wait lists for affordable housing extend for 10 years. 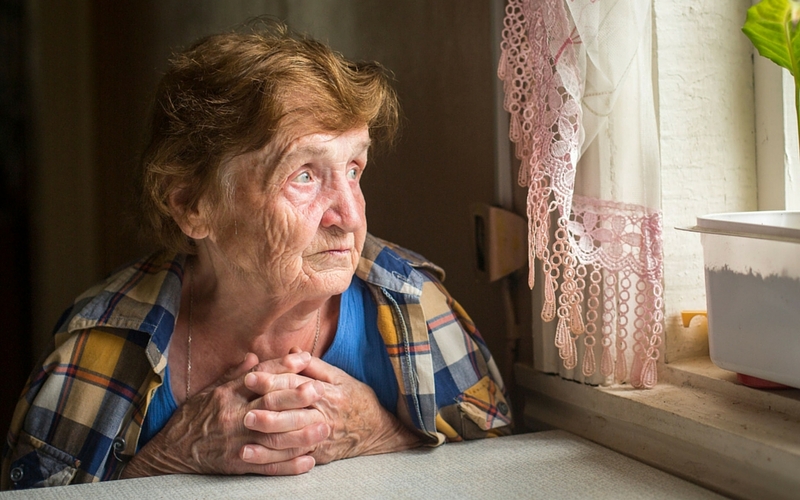 Imagine being 70, losing a job, having limited savings and no pension, and learning you might reach 80 before a spot opens up in subsidized housing. One California woman, homeless as a senior, saw her wait knocked down to four years thanks to a special list for seniors — but the building she lives in took a Herculean effort to bring forth. As real estate prices rise, the need for affordable senior housing will only increase. Average income needed to live in Fairfax, according to a calculator from the Massachusetts Institute of Technology is $30,000 pre-tax for a single adult. That number doesn’t include often higher medical expenses for seniors, or the challenges of getting around if you can’t drive. Many seniors struggle to find work — if they’re even able to hold jobs. They also have needs that narrow their options housing options. No stairs, wide doorways that can accommodate wheelchairs, open-plan layouts, proximity to public transit and medical and other services — all of these become vital for seniors as they face lower mobility, but can also make their housing search even more difficult. No one wants to be a burden. Most people want to live as healthily and independently as they can, for as long as they can. No town wants to carry the burden of providing extra services that, with a little foresight, could be avoided. As our population ages and communities grapple with the rising needs of seniors, affordable housing that meets senior’s needs will become one of Northern Virginia’s greatest challenges, one we need to start addressing now.